I present: The PetRockBlock Pie. It is not yet another a Raspberry Pi case that has been specifically designed with a list of desired properties in mind. 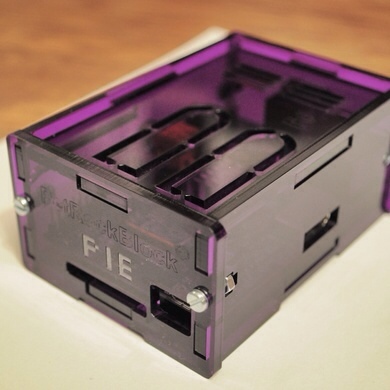 While the nice and compact design will let the case fit even into your living room as an eye-catcher, another advantage of the case is used, when you want to connect external components via a ribbon cable to the GPIO pins or when you want to add SNES or similar game-pad connectors to the case. The case should have an appealing look. I want to be able to put the case to places, where people will see it. The question, whether they like the look or not, is highly subjective in the end. But, nevertheless, well made choices for the material, the joints, and practical functionalities are the basis for a good gadget. The case should be robust. I want to be able to pass the case around, assemble and disassemble it as many times as I want to, and to accidentally have it fallen down without the fear to break it apart. The case should allow the use of a ribbon cable for the GPIO pins. Since the Raspberry Pi motivates for interacting with other devices with it’s GPIO pins the case should provide a slot for a ribbon cable as connection between the GPIO pins and whatever electronics. If no ribbon is used, the slot would be a support for the ventilation. The case should be expandable with game-pad connectors. 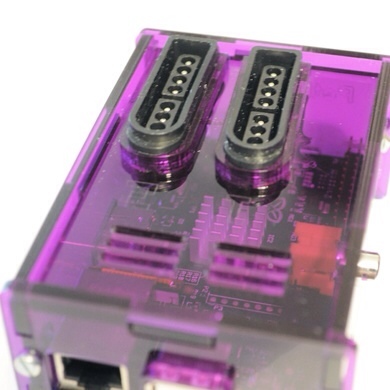 Working on an universal console, this case should provide the possibility to easily install additional SNES connectors. This is achieved by pre-cut slots that can easily be extended by connectors. 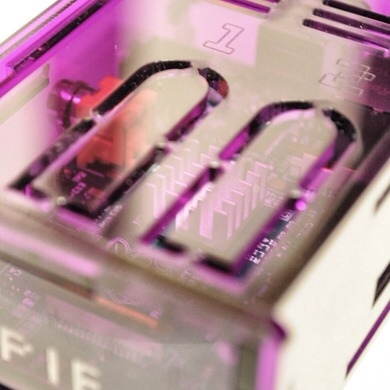 Slot for GPIO ribbon cable – The case offers a slot above the the GPIO pins and can be used, if you need to use a ribbon cable for connecting electronics with the Raspberry Pi. Simple but robust joints with four head screws and nuts (3/8″, 2-56) – Many cases made of acrylic plastic often break around their latches. This case does not have this problem and is designed without latches. Four small screws give the case an extreme stability and an unique look, while maintaining a very easy assembly. No sharp edges, but only round cut outs – It was taken care for that the faces that are directed outside are cut with round corners only. Cover for USB connector – The outer parts of the USB connector are covered by an additional acrylic ring that is also included in this kit. Ventilation slots on the bottom and on the top side – A good ventilation is guaranteed by slots on the top and slots on the bottom of the case, respectively. Pre-cut slots for SNES connectors – A special property of this case are pre-cut slots that can be used for SNES connectors. If you are not interested in these, you can either use this part as the bottom of the case, or you can use this part as the top and benefit from additional ventilation slots. 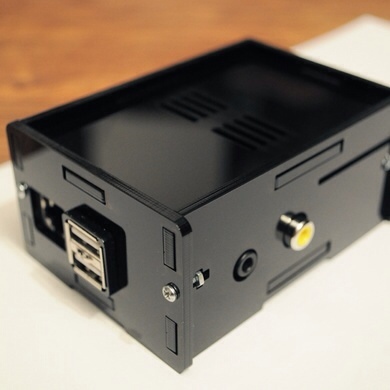 Matching dimensions – The dimensions of this case match the ones of the RetroPie GPIO Adapter. This means that both can be combined with each other to build a keyboardless gaming console with the RPi at its center. 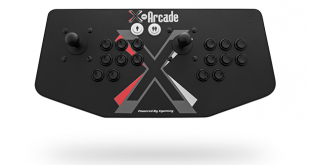 The kit does neither include a Raspberry Pi nor SNES connectors. It contains all parts, screws, and nuts for one case. 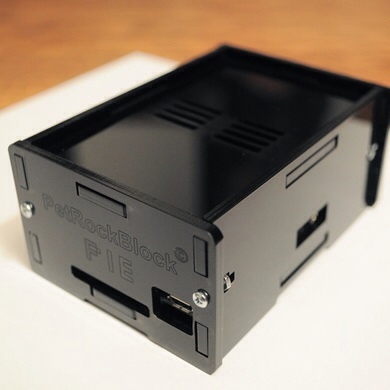 For those of you that are interested in the case: You can visit the petRockBlock page at Storenvy petRockBlock.com Online Shop at Zibbet and order the case from there! If you find the case or something else that you are interested in to be sold out, you can send a request for notification here. The Raspberry Pi is a trademark of the Raspberry Pi foundation. I’m interested in this case. What’s the status on this project? Have you discontinued selling? Hello, can you provide a DXF file or similar, so i can cut this myself please? Hello! Is the developement of a case for the Raspberry Pi B+ discontinued? Will this fit the Raspberry Pi B+? Also, what are the overall dimensions of the case? The case fits exactly the dimensions of the Raspberry Pi Model A & B not the dimensions of the Model B+, sorry. How much is it for a case and when will more be ready? I’m looking for the purple one with the SNES adapters. I intend on building one of these for myself. 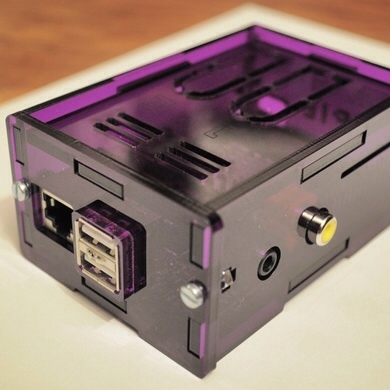 Second, do you think the microfan+heatsink attachment will fit in the case with the SNES ports already in there? I do not want it to get too hot. The cases should be available again at the end of next week. I made good experiences with both heatsinks and SNES connectors in the case, but I have not tested this with a micro fan, though. Looking for the purple. Would love to know when you will have more. I plan to have new cases available a few days after the holidays. It appears the cases are sold out. Any chance there will be more? Thanks for the interest! There will be some more cases in two to three weeks.